How safe to Travel Nepal? Of course, everyone may think at first before travelling anywhere away from their home. 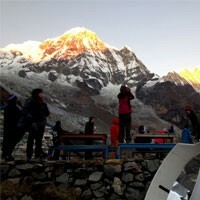 Before planning a trip to Nepal, the question may arise in your mind that Is Nepal safe to Travel? Because of the political un- establishment and the earthquake but everything is going smoothly now so no need to worry about travel to Nepal. Nepal is one of the rich country for ethnic, cultural, natural, and historical diversity. The earthquake had very little damage. Among 77 districts, only 8 districts were affected. Among the main trekking destinations of Nepal, only 2 trekking regions were affected but most of the Himalayas were absolutely fine. There is no risk for the trekking during the Autumn and the Spring but travelling individual and solo may be a bit dangerous to the mountains. 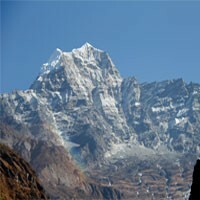 Monsoon (June- August) is not recommended to do the longer trekking because of the flooding and the landsides. There are the bad people every country but Nepal has very rare. The elderly always teach to their kids that the guests are the god so most of the Nepali people are friendly to the tourist. 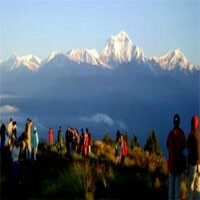 Nepal is a country of not hassling to the tourist. The visitors may walk around until late night around the city normally.